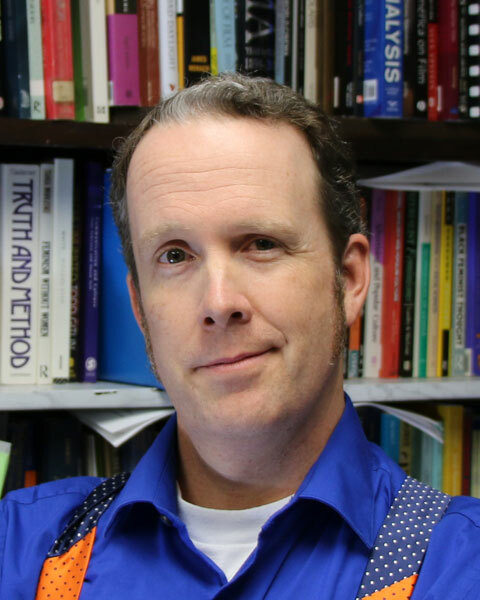 Dr. Steven Vrooman, PhD, is Professor at Texas Lutheran University, where he is Chair of the Department of English and Communication Studies and Director of General Education. He is also former Co-Director of the First Year Experience Program. He received his MA and PhD in Communication from Arizona State University, writing thesis and dissertation on online communication, and he did his undergraduate study at Loyola Marymount University. He teaches public speaking, popular culture and film, research methods, communication technology, social media, rhetoric and persuasion. He has been researching Internet communication since it emerged from BITNET in the 90s. He has researched and written on Internet social movements, online fandoms, word use on Twitter, flaming, trolling and invective, the maintenance of online communities and the incorporation of social media into elearning. He professionally consults on social media theory and strategy. He has spoken on social media strategy at TEDxSanAntonio, The National Association of College Auxiliary Services and the Texas Self Storage Association. He has published in the journals New Media & Society, Qualitative Research Reports in Communication, as well as in book chapters. He has reviewed articles for a dozen different journals and conferences. He has served on the editorial board for the Western Journal of Communication and has presented scholarly work at the National Communication Association, The Western States Communication Association, The Southern States Communication Association, The Western Social Science Association, the Society for Cinema Studies, and the Southwest Popular Culture Association. He has spoken on teaching and public speaking at various universities as well as at the Texas Library Association. He has appeared in the documentary films The People Versus George Lucas and 3 Glimpses. He is the creator and host of the "Every Speaker Has a Story" podcast, which curates selections from interviews with professional public speakers on key themes, like "Technical Difficulties" and "Disasters." He is the author of The MoreBrainz Blog and the textbook, The Zombie Guide to Public Speaking. He gives public speaking, Power Point, and social media analysis and advice on Instagram, Twitter and Facebook as @MoreBrainz. Can You Escape from this Session?